Egyptian prosecutors have ordered the detention for 15 days of three soccer fans and released 18 others on bail on the back of deadly stadium violence earlier this week, a judicial source said. 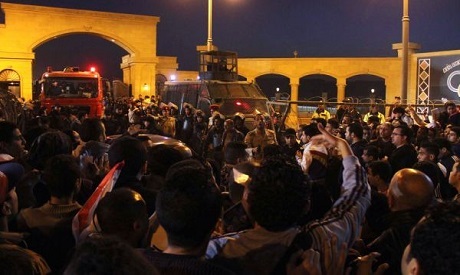 Twenty people, including a 14-year-old girl, were killed after security forces used teargas to stop fans on Sunday from entering the military-owned Cairo Stadium to watch a league match between two Cairo clubs, Zamalek and Enppi. The Zamalek fans are charged with rioting, assaulting policemen, damaging police vehicles and public property and terrorising people. Three of the club's diehard fan group, Ultras White Knights (UWK), were ordered to be detained for 15 days pending investigation, the source said. Eighteen others were released after paying LE200 ($26) bail. None of the Zamalek club leadership, however, including chairman Mortada Mansour – a bitter foe of the UWK – has been interogatted over the killings. Relations between police and fan groups known as Ultras have been tense since long before the 2011 popular uprising that ended the 30-year rule of strongman Hosni Mubarak. Ultras were believed to have played a major role in the demonstrations. Health officials and police said all the victims in the violence, which injured at least 20 others, were crushed in a stampede, stressing there was no signs of gunshot or birdshot. The violence was the deadliest football-related disaster since the infamous 2012 killing of over 70 fans after a match in a stadium in the coastal city of Port Said. Sixteen human rights watchdogs blamed the police for the deaths in a joint statement on Tuesday, accusing security forces of attacking the crowd in a "vengeful" manner. Ultras White Knights have vowed to avenge the deaths. "The truth is clear to the world and we know the criminals who incited the murder," the fan group said in a statement. “We have passed through your courts many times, with no truth held up nor retribution for the wronged. The time has come for you to pass through our courts. What goes around comes around."